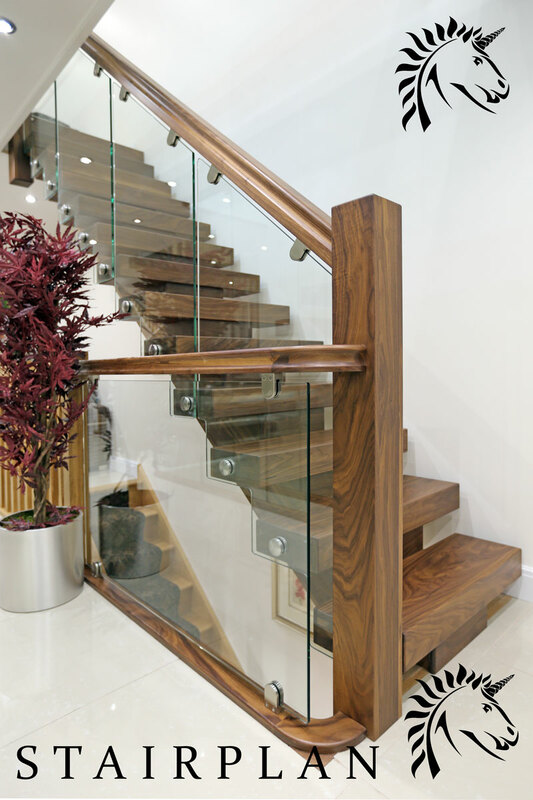 Black Walnut offers true beauty and in the contemporary architectural design of the X-Vision staircase design you can be certain that this staircase can make the right first impression when somebody enters your hallway. 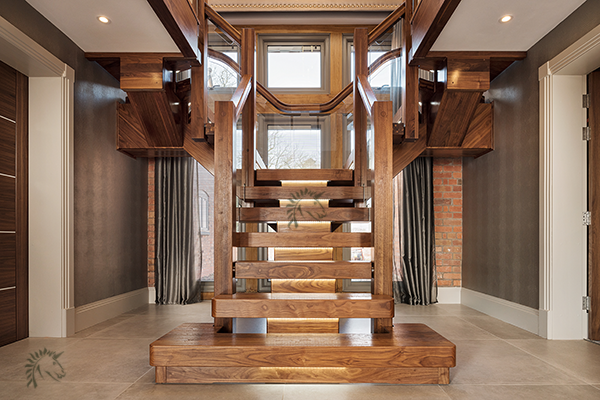 Above you can see a Central feature black walnut X-Vision staircase, LED light, structured texture to the Stair treads, lacquered finish Full Premium Plus service. 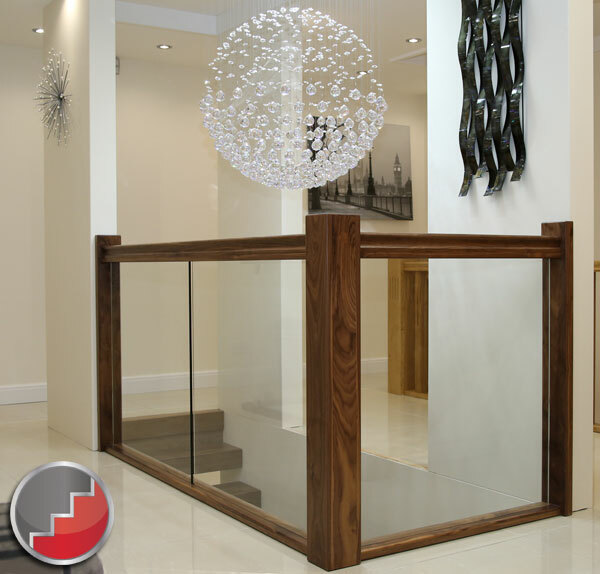 This X-Vision staircase has the stepped glass option where the lower line of the glass balustrade steps down inline with the underside of the stair treads. 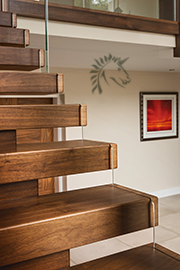 A Walnut X-Vision staircase is available to view at our design and development centre in Telford. 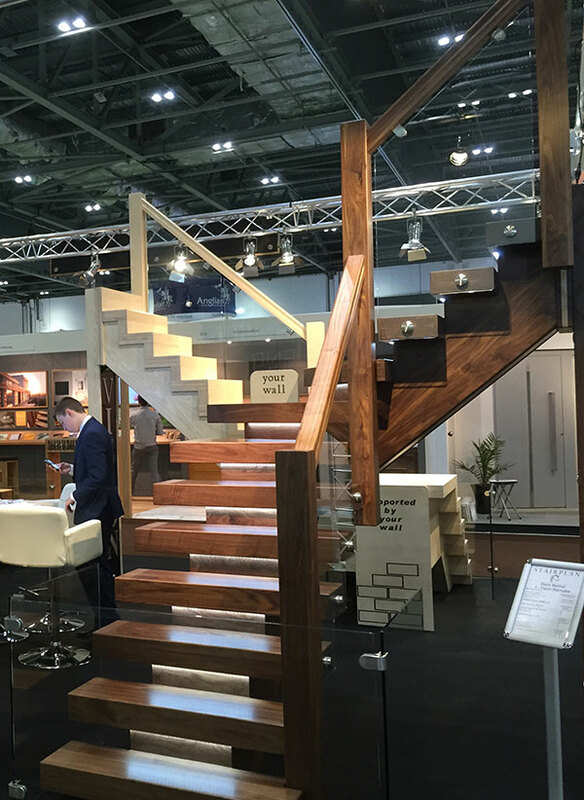 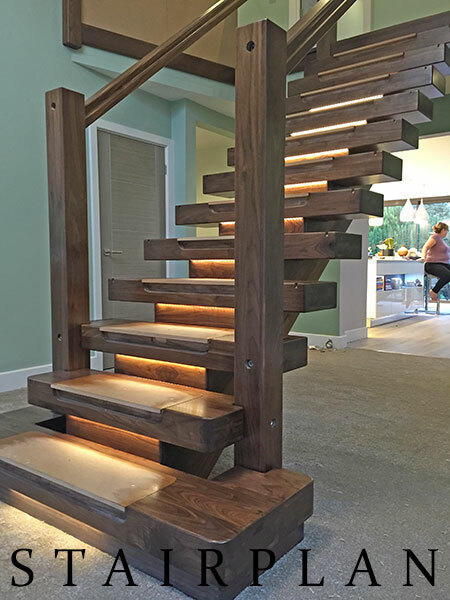 Above - This is the Black Walnut X-Vision Staircase shown at the Grand Designs Live exhibition in London, this particular staircase has the Steep Glass Option and the Optional LED lights set into the stair treads. 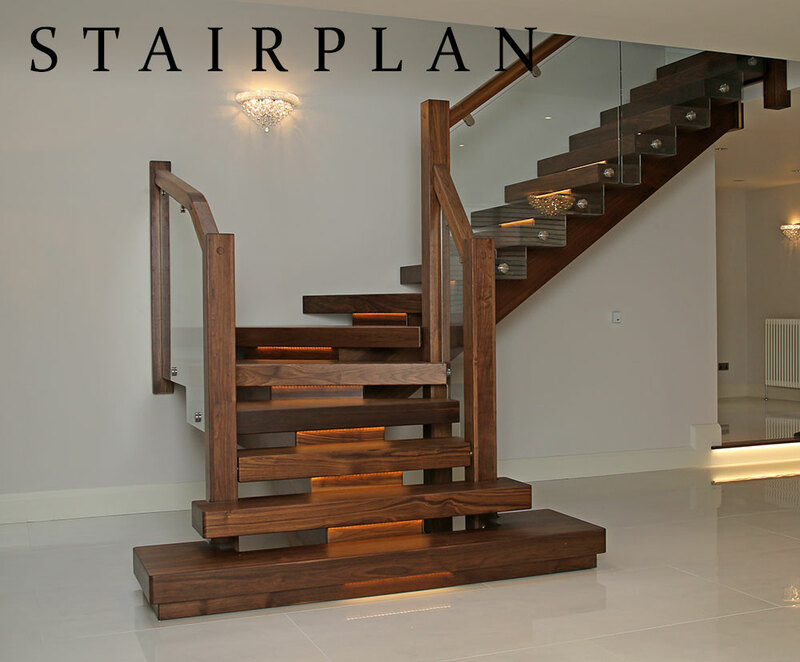 The X-Vision staircase is a premium feature staircase , American Black Walnut is continuing to grow in popularity as we enter 2016. 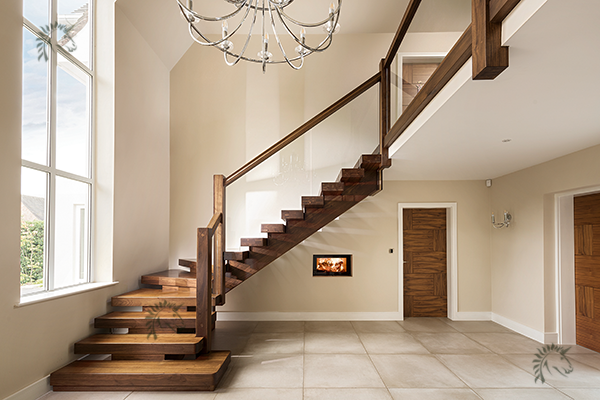 Here you can see a recently installed feature staircase - This X-Vision staircase has the option where the glass is recessed into the stair treads. 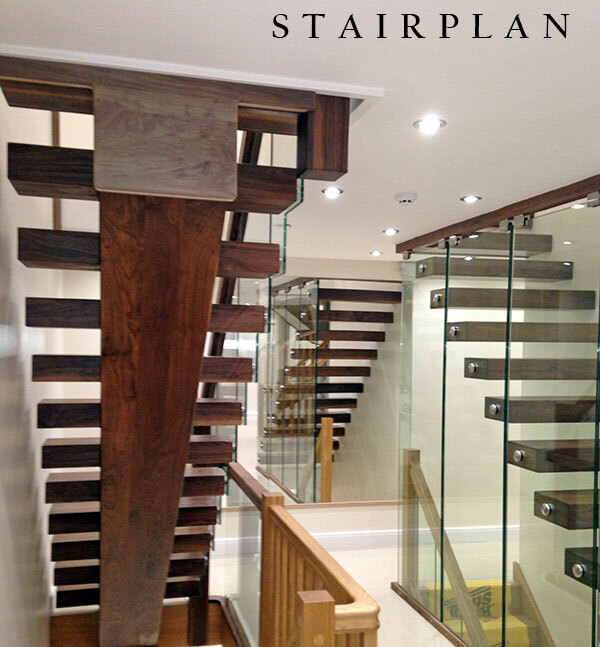 Above you can see a X-Vision staircase with option of having the Glass set into the stair treads. 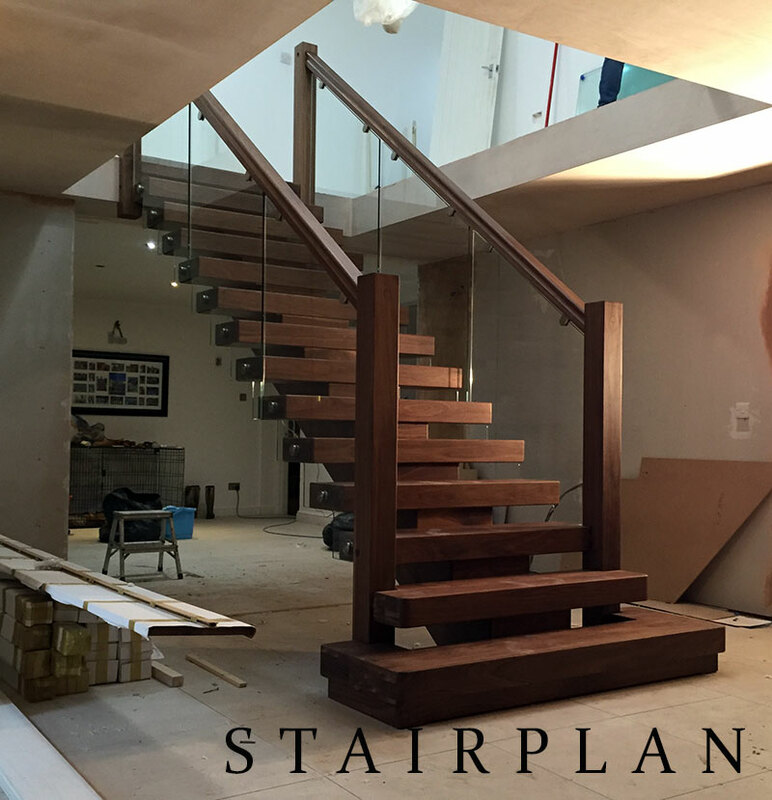 Above another Black walnut X-Vision staircase during the installation process prior to the glass being installed, this one has the optional tread recesses ready for carpet. 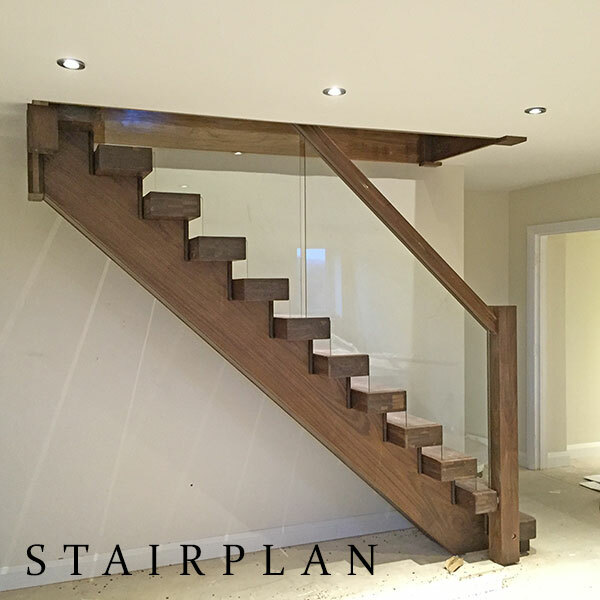 The American Black Walnut X-Vision staircase continues to be a popular choose as we enter 2017, shown here with a increased width and glass balustrades to both sides, the X-Vision staircase can be a focal feature in your hallway.